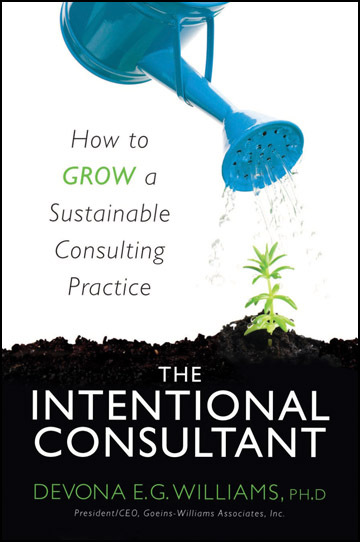 Devona Williams, President/CEO of Goeins-Williams Associates, Inc. of Clayton, DE released a new book she authored, The Intentional Consultant: How to grow a sustainable consulting practice. The book draws upon the author’s 22 years of experience as a successful business consultant and entrepreneur. Williams not only shares her story but the process for growing and sustaining a small business as well as useful strategies and tips for any small business owner. Although Williams had the seed of idea for this book for nearly ten years, she was inspired to finally write the book after her business continued to flourish through the current economic recession. “I realized that what I could share with other entrepreneurs, consultants and would-be consultants and small business owners the process to help a business prevail, even in tough economic times.” Williams candidly shares successes and mistakes to avoid. The book is described as a “must read” by one small business development expert. Seasoned consultant and business owner Lozelle DeLuz who read the book said, “I read it cover to cover and stayed up all night until finished. I found the book engaging, informative and instructive”. She has since used its instruction and successfully applied it to her practice. Williams is a professional keynote speaker on business leadership, team building, and success and is available to speak for organizations. 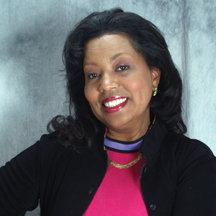 Williams is also the contributing author to the inspirational book, Remarkable Women and creator of the Spice of Life® Diversity card tool. Williams earned a doctorate in urban affairs and public policy from the University of Delaware and established Goeins-Williams Associates (GWA) in 1986, “to help corporations, non-profit organizations and government agencies improve their management and productivity in strategic environments”. GWA provides a wide range of services, including strategic planning and organizational development, interpersonal skills training and assessment, research and evaluation, public policy and issues management, and is an authorized distributor of Inscape publishing company, DISC and other quality learning materials.